If you need financing for your parking garage, contact us today! Ocean Pacific Capital has been in the commercial real estate finance business since 1977 and has extensive experience in providing the best parking garage financing. 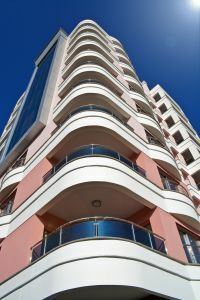 As an owner or developer of a parking garage (also known as parking structure or car park) you have specific financing needs to your type of property, whether it is underground, outdoor multi-story, or automated. With our experience, we can structure a parking garage financing program that meets your exact needs at minimal costs to you. A company without experience with parking garage properties may cause you long delays in financing and you may end up with a program that is not ideal for your situation. With over 31 years of experience, you can be confident that we will help you along each step of the process to offer you the best financing possible. Ocean Pacific Capital provides customized parking garage financing solutions for all kinds of investors worldwide. Contact us today at 1-800-595-1474 or fill our online form.